In a medium saucepan, combine all ingredients and bring to boil. - Reduce heat and simmer for 25 minutes until thickened to syrup consistency. - Let cool at room temperature and then refrigerate until ready to use. 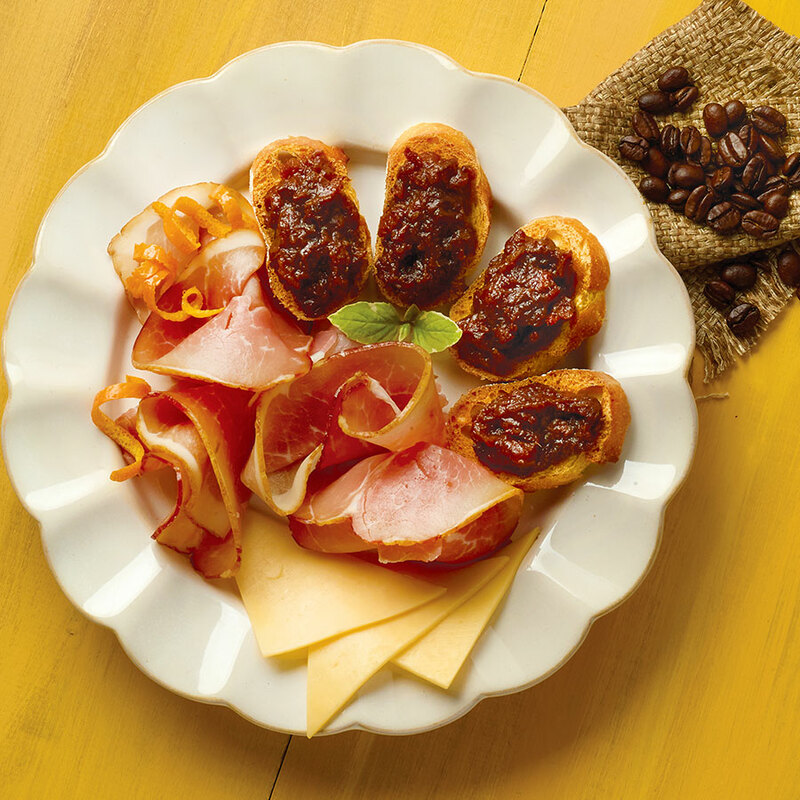 - Serve on baguette slices accompanied with Brandt Westfalian Ham.